Right in the heart of Lille, this Mercure hotel is ideal for exploring the numerous attractions in the city centre. You can also explore the Grand Place, the vertiginous belfry, the typical quarter of Vieux Lille and its small picturesque houses. Choose from different room categories: a Standard Room or a Superior Room to take advantage of a wider range of services. Relax in our cozy, laid-back bar and choose from its selection of Mercure wines. Try our cocktails and gourmet wines, or share a charcuterie platter with friends. Our team is always there to greet you with a smile! As usual staff were friendly, polite and efficient. The room was exactly as I requested. The hotel is ideally situated to visit the old town and close enough to the railway stations. Tiny issue about breakfast on my second day as there was no ham/charcuterie. I would recommend this hotel to anyone visiting Lille. Lovely old town with shops, market and large pedestrianised areas and squares, traditional and modern restaurants all within a few minutes walk. Room comfortable and very clean. It was great to have tea and coffee making facilities. Staff were very welcoming. I would definitely return to this hotel. Beautiful hotel. Great location. Amazing staff. Staff very friendly brilliant breakfast very comfortable bed , the only downside the room was hot so we opened the balcony window thinking the traffic would be a problem but for a city centre it was really quiet. Lovely room with the a balcony overlooking the iconic buldings of - Lille - just perfect. Great location, comfortable room. Nice breakfast. Friendly and helpful service. Appreciated the upgrade to such a lovely room. Friendly and helpful service where the staff went out of their way to provide a great experience. Appreciated the upgrade to such a lovely room being part of the Accors membership group. The hotel is located in really great location from Grand Place, easy access from the main train station Europe. Lovely range of products for breakfast. Staff was very helpful and kind. As always the room was comfortable and the hotel location excellent. This Mercure offers constant high quality in the centre of Lille for an affordable price. I've been here a number of times and was never disappointed. Recommended. The overall experience was not great. Reception at the hotel was not welcoming, tv did not work well and the rooms were smaller than standard European size. 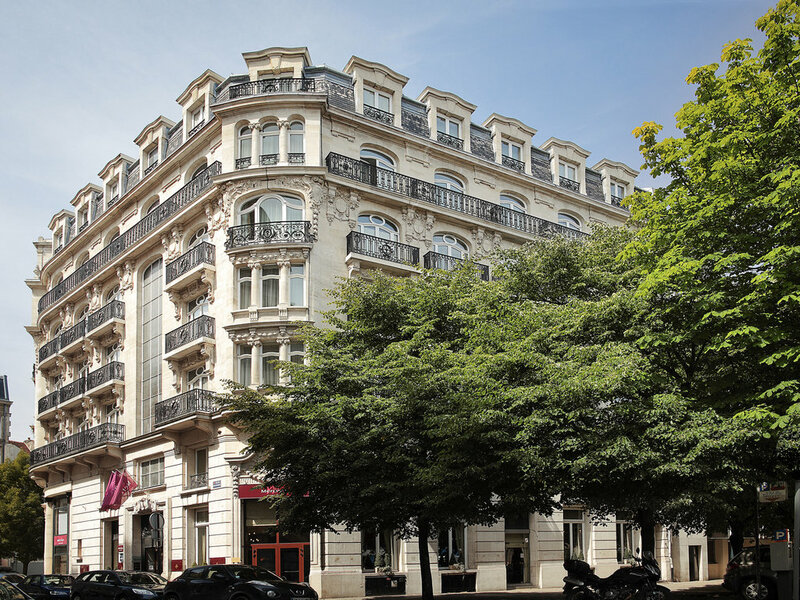 The hotel is a 10 minute walk from the Eurostar terminal . its 2 minutes away from the Main square and almost all the things to see....and places to eat The staff are really helpful, and the rooms well kept with good Bathrooms. As it was a late arrival and early departure, there is not much to say.